You may not realize it, but the one thing that brings every event together is the tablecloth. Imagine a beautiful banquet hall decorated without tablecloths – any expert designer would tell you that this is one of the biggest mistakes you can make. Now that you’re realizing how important tablecloths are, it’s also time to think about tablecloth material. The touchpoint for deciding what kind of tablecloth you’re looking to get is to decide what kind of event you’re throwing. First, you might want to get into the science of what it takes to throw a great party, besides the tablecloths. If you’re throwing a dinner party, chances are you’re only going to need one tablecloth, which means you can afford to splurge on a more expensive tablecloth. If you’re having a children’s birthday party, disposable and themed tablecloths can be used. Working with a wedding or a fancier event means you’ll have to look at both budget and the number of tablecloths that you need to use. It’s important to set a budget for yourself so you know exactly the quality of the tablecloth you’re going to be able to get. The material is hands down the most important part of the tablecloth. All materials don’t work for all occasions, so before you buy, make sure yours matches up to the needs of your event. You can find all these types of tablecloths and more from Salewunder. Polyester is a synthesized material made to be more durable than others, so you can use it for both indoor and outdoor purposes. Polyester typically doesn’t have a high price point, but if you’re going to use it for many tablecloths, the bill can definitely add up. Luckily, it’s strong enough for re-use, and machine washable. It boasts more shine than a cotton tablecloth and comes off more silky to the touch. It’s the perfect tablecloth for a semi-formal dining scenario or fancy outdoor picnic. It’s also very wrinkle resistant, so you won’t have the urge to run over it with an iron before the event begins. Linen is a strong natural fiber that makes for a more traditional tablecloth. The fabric is stiff to the touch depending on the make, so isn’t the choice for formal events, but can be a great option for outdoor picnics and events. Because it is naturally moisture wicking, linen becomes another popular choice for outdoor tablecloths. The textured feel of the material gives an old-fashioned vibe and can be machine washed. A silk tablecloth is a surefire way to add elegance and grace to your event. These tablecloths, however, are often pricey. Considering the complicated process for how it’s made versus the more easily manufactured cotton or polyester, that high price tag makes sense. Most commonly used at formal get-togethers like weddings, when you opt for silk, you’re making a statement that says your event is a fancy ceremony or important gathering. Silk tablecloths are also often embroidered, which adds even more of a unique and classy touch to the occasion. 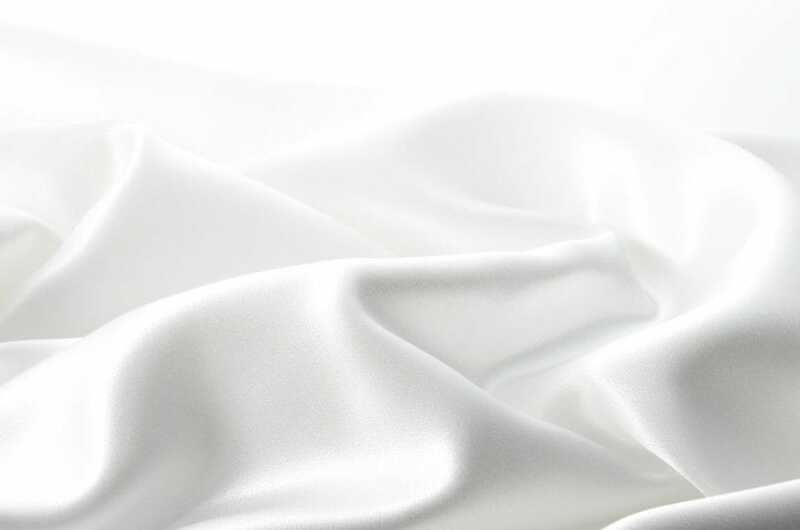 Because silk runs with such a high priceline, silk tablecloths are usually available for rent to save you money. Vinyl tablecloths are the quintessential tablecloth, and perhaps what comes to your mind when you first think of a tablecloth. The reason that vinyl is so dominant in tablecloths is because of its extreme durability. You won’t have to worry about any spills, because whatever you drop on the tablecloth will slide right off. The same goes for weather. If it happens to rain on your vinyl tablecloth, there will be no recovery time for having to dry them. You can also set out pots and pans and other utensils or serving dishes without having to worry about them ripping the clothes, or accumulating wear and tear. They also commonly come in fun prints that lend easily to a themed party. Cotton tablecloths are ideal for everyday use, especially if they’re being used indoors. Cotton is less complimentary of a choice for prolonged outdoor use because it’s prone to deterioration or mold after getting exposed to more extreme weather conditions like heat or rain. Cotton typically has a low price point. You can use it for a dining room table or at your kitchen table to add more formality and clean off spots where people may have spilled with a sponge or rag. Know your table’s measurements before going into the shopping process – unless you want your tablecloth to drape heavily on the ground, which could, in fact, be a style you’re trying to achieve. Mostly, however, you want the tablecloth drop to hover just above the ground if you’re going for a traditional fit and the tables are outdoors. An indoor tablecloth typically rests about eight to nine inches from the side of the table so that it won’t resist your legs and make for a comfortable dining experience. Fitted tablecloths are the most appropriate for trade shows or corporate events, as they’re the most practical and won’t get in anyone’s way as they work. As far as shapes go, you have rectangle, square, and oval to choose from. The dimensions of tablecloths usually fall into an industry standard. When you’re choosing your tablecloth size, if you have a typical table, the cloth will likely fit. For tables that are extra wide or not the standard measurement, consider using multiple runners or tablecloths on one table. You can find a solution to a uniquely sized table by mixing and matching tablecloths. Maybe you’re a DIY queen and can make your own tablecloth, but it’s most likely that you’re going to get out there and buy a tablecloth of your own. Now that you’re a tablecloth expert, it’s time to hop onto the next design project. Everyone needs good design inspiration to generate the best ideas, and you can look at lifestyle blogs to start gathering ideas. Thanks for pointing out how silk tablecloth can add that desirable elegance fo your event. My daughter is getting married next month, and she has always had a thing for the extravagant. I will be happy to share this piece with her so she can ask the organizer to opt for silk tablecloth on her wedding day.